I’m in research mode. I’m elbow deep in tree and herb encyclopedias. I’ve been reading every homesteading and nature memoir I can get my hands on. I’m scouring the fields, ditches, and woods for new specimens of plant life to identify, and I just helped my mother-in-law build a compost bin. One-Woman Farm was one of the recent memoir selections, and it was a breeze to get through. Daily journal entries, basically, of farm life through out the year, the author’s quest for a Fell pony, and to learn to play the fiddle. The book is full of sweet illustrations as well, which made it spunky. Her talk of pigs felt more in depth with a pencil sketch of a pig sharing the page. Faux paperclips in the margins, like a well-worn guide book to life. Typed recipes and quotes added a richer flow to her sparse text. Now on to the next… I’m reading The Last Great Walk by Wayne Curtis and The Quarter-Acre Farm by Spring Warren. More than ever, I want to live there. We are saving for land and to build our own house. It still feels like a pipe dream, but it is a pipe dream in action. We have little choice but to make some version of it obtainable. We’ve dreamed of 40 acres, our goal is 10. We’ll take just 2 if that’s all we can get. But in all this dreaming and planning and saving, there are a fair number of doubters in our midst. It’s ok, I doubt myself too. But I do know my own mind – no matter how much work it is and whether I can make it happen or not – I want the life Klinkenborg describes in his memoir. L’Engle sold me on Crosswicks… land and a 200 year old house. Klinkenborg sold me on his gardens, the work of an amateur ‘farmer’ who isn’t a farmer at all but a man who lives as self-sufficiently as he can. He talks of pig farmers, of an Iowa homestead he grew up on, he talks of Texas, and all corners of rural America, and his little journal of country life is endearing. On lunch breaks at work I’m plucking through a Popular Mechanics publication about how to build log cabins and small houses. Practicality by day and soul searching by night, I may know my own mind but I do like to be sure of things on a fundamental level beyond my desires. I want to build something that lasts for years to come. I want to work with my hands and create. These are things I’ve always wanted, except before I mostly sketched pictures and wrote books. Before I was sloshing paint on a canvas and writing very poor poetry. I want to continue to slosh paint, write, and tinker with things that are pretty… mosaics are a dream of mine… but I want to build a house that will stand for 100 years. I want a green house where I can watch things grow and dig my fingers in the dirt, eat the vegetables that come out of it. I want to milk my own goat and drink fresh milk while I contemplate character development. I want my child to have fields and forests to romp in, chores in a barn to do, and chickens to pester. I want space and fresh air. In short, I want a full resume of human experience, but I want to end on the cozy bits. 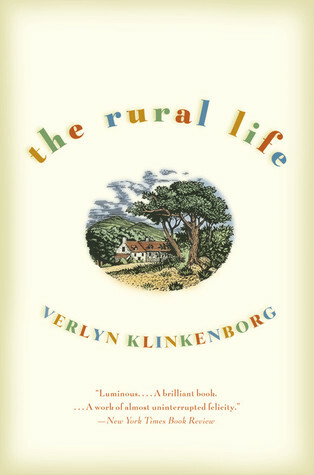 So when I’m old and gray, would it be too much to ask to be living the rural life like Klinkengborg? I’ll definitely be looking for his other books in the future. I may need them if my dreams don’t come to the fruition I’d like them to. 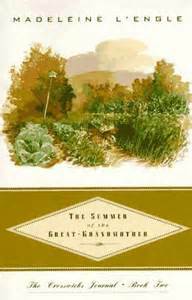 I’ve been reading The Summer of the Great-Grandmother for nearly a month now. I read pieces and snippets in particular moods – moods when I need it: L’Engle’s wisdom and a bit of the outdoors. But finally, last night, I turned the last page. I finished and sat there a moment. My journal open, the book closed, my pen ready and not ready at the same time. Ready because I had a vision to capture in the ink. 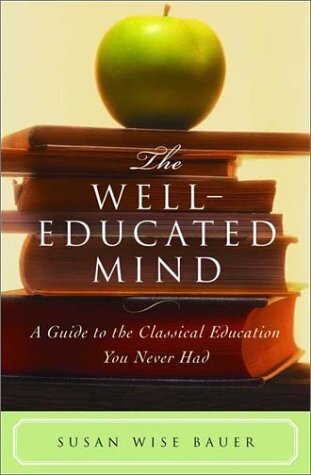 Not ready because it didn’t seem to me like a book review at all, but it’s what I have – my thoughts regarding this book. I cannot help but think of Sandy Smith while I am reading it. L’Engle tells tales of her home life and mentally, for some reason or another, I picture Smith’s face rather than L’Engle’s. Perhaps it is because I’ve met Sandy, but L’Engle is a series of disjointed pictures from different decades that I have plucked from the internet. Sandy is flesh and blood to me, and L’Engle deserves to seem like flesh and blood in my mind. Flat internet images glowing with the unnatural light of an LED background do not do her justice. I hope Sandy doesn’t mind me stealing her image and loaning it to another in my mind. It’s just that – in my mind, they belong together. They are joined by associations I may never be able to clearly express, but might be able to feebly make a fraction of sense of them here. They are each writers and humans in their own right, but L’Engle’s writing seems to have the same aura of loveliness that I find in Sandy when talking to her in person. When I think of her, this soft spoken writer who traveled all the way from Oregon to Texas for a book signing tour, you’d think I’d remember the hours I spent with her in bookstores hanging out around tables of her young adult series Seed Savers. But I don’t. As in every moment with her, she had a twinkle in her eye. I’d call it a spark, even. She’s someone you meet and instantly want to be her friend, or little sister, or niece, or daughter. It doesn’t matter, you just long to matter to her because she is wonderful and wise and everything about being around her feels enriching. I do not know Madeleine L’Engle other than by her books, and I would not presume to say that I really know Sandy Smith either – I’ve just had the pleasure of her company, the joy of promoting her books, we’ve chattered back and forth in emails to plan signings and blog tours, and I adore her. But in my mind, I imagine L’Engle and Smith as kindred spirits that belong to the same whisper of a thought. When you’re reading about the life and times of a comic on the run, you get a lot of information you’d probably rather not – unless you’re a dude. This is definitely a dude’s memoir! It’s good! 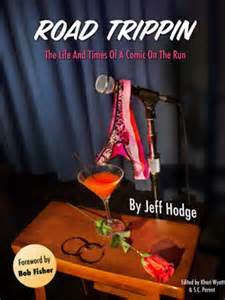 Don’t get me wrong, I’m enjoying getting to know Jeff Hodge. I’m enjoying reading up on all the little adventures that made up his life. But more than his adventures and sexcapades, I love his bits about growing up in St. Thomas, US Virgin Islands and then in Houston. Those are my favorite parts. I’m preemptively writing this review. I’ve had the book in my possession for awhile now (longer than I usually do when I am sent a review copy) and I’ve been picking it up and reading it leisurely. I do this with memoirs sometimes, and Hodge’s is a memoir to take in over a long time, because I want to actually become acquainted. I want to hang out once a week, as you would with an old friend, and absorb his life story – not just read the book in a day and forget about him like a one night stand. Maybe it’s because he’s sort of wonderful. Maybe it’s because going into it, his one night stand stories made me sad before I even heard them. Call me a judgmental Christian homeschool mom, but tromping around with your pants down in bars all the time doesn’t sound like a happy life to me. The fact that he seems to innocently stumble into these situations is both endearing and frustrating as hell. But I do love that Hodge has way more going on than that in his memoir. So rather than dismiss getting to know him through his book after reading about his rendezvous with a married woman (for shame! ), I calmly set it aside, and pick it up another day when my irritation has worn off – curious to see what he learned from the experience. Exactly how I would be if I was hearing this story in person. Road Trippin’ belongs on the shelf with Dave Barry and alongside I Hope They Serve Beer In Hell. A little more than halfway through his book, with full intentions of finishing, I’m curious to see one of his acts. Next time Hodge is in Houston, I plan to pay him a visit. But as a true fan – for the record – not as a skanky hoe (and no matter how pretty you dress these girls up, I think for the most part, they were skanky hoes). I’ll keep you posted how it all turns out in the end. Or, you could download the 99 cent ebook and read it yourself. Title:Been There, Done That, Really! I looked over the books. One is fit for a Sunday School class, one looks fun and spunky featuring a nun zooming by on a motorcycle. I picked Been There, Done That, Really! 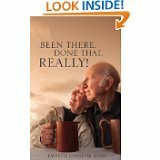 It has an elderly couple, the sort you imagine have grown old together, looking off into the distance over what I presume is a cup of coffee (could be tea, but I’m partial to coffee drinkers). Obviously, this appeals to me. I always thought there were two kinds of people in the world – those that prefer the very young and those who prefer the very old. I’m of the old variety. I love my child, but I’ve never been a natural nurturer to children. To me they are just little people who haven’t learned how to function well in society. They don’t yet look beyond their own noses, they are selfish and self-serving. 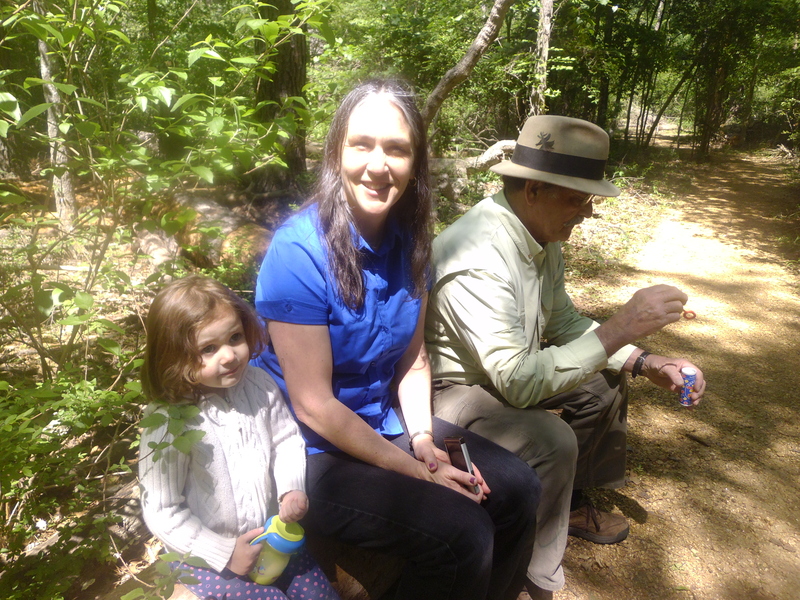 Thanks to hormones and motherhood that view has changed a bit – my daughter is indeed a little person, but I can see the wise woman she will one day be. And the cute, snuggly factor helps. This picture was taken about thirteen years ago, but I remember this woman vividly. The elderly, though, have always intrigued me. Even as a very small child, I preferred white hair and wrinkles to the company of my peers. I learned to count by playing SkipBo with a woman who was born at the turn of the century – the 1899 to 1900 one, I realize I have to specify these days. 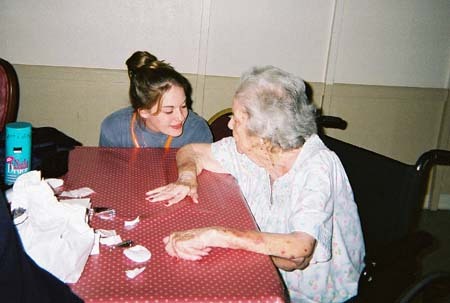 In high school when I did community service projects, I always opted for cleaning homes for assisted living homes in low income neighborhoods over playground session with tiny people. I enjoyed the conversations. Then and now, I like hearing the stories. If you’re one of those people too, the kind who likes to hear about a lifetime of adventures from someone interested in sharing them, Paulette Meeks’ collection of stories are for you. They are sweet, simple tales from people who just want to talk about their lives a little bit. I enjoyed it thoroughly. 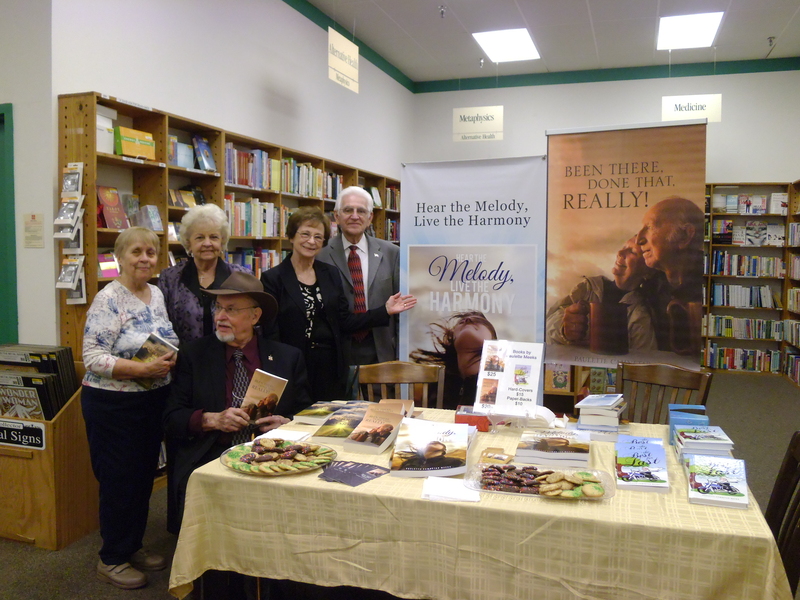 My favorite story was Paulette’s own: Never Too Old to Be Smitten. There is a picture at the start of the story of Paulette and her husband Bill on their wedding day June 29th in 2001. I found the idea of finding love in your sixties so wonderfully sweet. Bill was a widower before Paulette, and I hope that if I die first, my husband finds someone to keep him company before he leaves this world. (We wives like to believe our men can’t live without us. ) More than anything, the word ‘smitten’ is a magical word and it is easy to get caught up in the romance of the meaning while you read the story of their first meeting and first date. Reading through these stories reminded me of another book I’ve reviewed here before, Rich Fabric , a series of stories about quilting. The proceeds of Rich Fabric go to the Twilight Wish Foundation, and if you’ve read it I think Been There, Done That, Really! will appeal to you. I have never felt so awful as a human being as when I sat reading An Exact Replica of a Figment of My Imagination knowing I’d be ‘reviewing’ it for a blog shortly after I finished. How do you justify that in your mind? ‘Reviewing’ something so personal, so devastating, so beautiful, so intense. As an avid reader, a constant reviewer, and one those people who presume to call themselves a writer though I’ve yet to have anything published, I felt like an inconsiderate intruder reading such an intimate account of a loss so great. It’s rare to read something so personal. As a mother, on the other hand, I wept. I wept, and wept, and wept, for little Pudding. I wept for Elizabeth. I wept for a friend who lost a baby not long after I had my own. I wept for all the things I may have said wrong, all the things I may have not said, and I wept for the selfish joy that my own sweet, precious child was snuggled next to me as I read. I wept for Pudding, I wept for another friend who died, I wept for his mother because even though she had 29 years with him he was still her child, and I wept for the baby cemetery that I pass every time I visit his grave. I’ve had a writer’s crush on Elizabeth McCracken for sometime. I have an extremely vivid memory of reading A Giant’s House while having lunch with the same friend whose grave I now visit. We devoured deli food, iced tea, and discussed the oddity of a romance between a librarian and child giant. I remember telling him what a strange tale it was, but if I could ever manage to write anything half so interesting I would pee myself with happiness. He promised to read it too, though I’m quite certain he never did because he was in the habit of reading the first thirty or so pages of something and then proclaiming himself an expert on a topic, starting novels and not finishing them, and making half-hearted promises… little things that I tend to hate in people, but for whatever reason found endearing in him. I loved him dearly, and for that reason, I’ve never been quite certain whether my Elizabeth McCracken crush was because Elizabeth McCracken was all that amazing, or if it was because thinking of her always reminds me of him. I cannot think of one without thinking of the other. Reading An Exact Replica of a Figment of My Imagination, I’m now quite certain that Elizabeth McCracken is that amazing, and deserves adoration outside the realm of Matty memories. She’s a wonderful writer, a fascinating person, has a rockin’ last name, and by sharing this book with the world has proved to me (without ever having met her) that she has a very giving soul. Elizabeth McCracken, thank you for sharing Pudding’s story. And from the bottom of my heart: I am sorry for your loss. It was the cover that got me first. I saw a stack of these books and thought, those little white mugs look so lovely against that sage green. Those crystal glasses look so clean. I want my life to look like that; I need my life to look like that. Of course, my kitchen life looks a little more like someone’s rummage sale: hodge-podge glasses; mugs of all shapes, sizes, and colors; I never have any idea what kind of utensils are in the kitchen as they have all been gifts, hand-me-downs, or left behind by various room mates. (I couldn’t possibly imagine where my waffle iron came from, but it’s ancient, difficult to clean, and I love it.) I say my ‘kitchen life’ as though it is only my kitchen that suffers from this unfashionably eclectic manner of acquiring my belongings, the truth is my whole life is this way. The library is not the gorgeous leather bound, gold embossed on mahogany shelves thing of Beauty and the Beast or the Bodleian… instead it’s got some of those and a lot more ratty hard backs and tired old paperbacks, stacks, piles, a thousand different wood grains and colors, and pretty much a hot mess forgiven merely because it is a hot mess of books. Even my cozy blankets have no continuity: quilts, afghans, fuzzy God-knows what kind; some made by old ladies, some by family, some just picked up at a thrift store, some from my childhood. But it’s ok. The cover is lovely and it gives us something to aspire to. Even better than that, it isn’t fancy, it’s simple. Molly Wizenberg may have a neat and organized life of homemade goodness, but it’s simple and easily attainable. Her book isn’t about being the next Martha Stewart, and it isn’t about being a project obsessed Julie Powell, it’s just a cozy little recipe driven memoir – more than a memoir, actually. Her book reads like little life essays, not life lessons, just life in the ‘and then I fell in love with coconut’ sort of way. I like knowing these kinds of things about people… I don’t care about your degrees, your successes, your battle for this or for that, tell me how it was you fell in love with coconut. Tell me your thoughts on white chocolate and all the memories those thoughts unleash. Talk to me about rotten bananas and french toast, and what your parents were like in the kitchen. Molly does. And I love her for it. Of course, if you bother to tell someone how you fell in love with coconut, your memories of the 80’s and white chocolate, your dad’s insights to making the best french toast on the planet, the moment you decided raw cabbage wasn’t half bad if prepared by the love of your life… you end up telling them about more than your food experiences, you basically tell them all the high and low points of your life, the parts that are way more personal than what degree you got in college. Molly grew up in Oklahoma, being from Houston, TX, I don’t exactly consider that the south, but if you were from Montana I guess you probably would. Nevertheless, reading something written by an Oklahoman during an 80 degree December feels a little more weather-mood appropriate than reading something written by, let’s say, a Canadian. For a warm, southern winter, A Homemade Life perfectly fits the bill as it is all about the warmth of family in the kitchen, making a cozy way for yourself, and fabulous but mostly simple recipes… great for the holidays. But only if those holidays are warmish, because there are several summer and spring recipes that would totally throw me off my game if it was snowing outside. I’m a mood reader. For me to enjoy a book to the max, the weather, the house, the book, and the stars all have to align. Not entirely, I’m pretty good at getting completely lost in a book with absolutely no awareness of what is going on around me, but let’s face it, not everyone can write a 5 star book that doesn’t need ambiance guidance, and not every book is supposed to be read void of ambiance. A Homemade Life is well-written, and thoroughly enjoyable, but it was written with the kitchen in mind. I’ve read much of it at the kitchen table over coffee or soup. Not every book is a coffee and soup at the kitchen table kind of book, but this one is. This book has made me greatly long for a window seat in my kitchen. The window seat would have a little garden box attached on the outside for all my kitchen herbs, I could open the pane and inhale the glorious scents of rosemary and green onions. I don’t have that. Instead, I read this sitting on a 30 year old, uneven chair with a rip in the leather, looking out the nearby window to my deck and tree. It’s a great view, but when I open the pane I get a strong whiff of dog, ancient wood, moss, and whatever smell is coming from the water treatment plant in the back of my neighborhood that day. My good days are in April when my jasmine masks all of that with vengeance. But in my kitchen, I’m not just in my kitchen, I’m in Molly’s kitchen too. I’m falling in love with her character of a father, lovingly referred to as Burg. I’m living his grand moments, his love for breakfast and dinner, his love for his daughter, and his legacy after death. In Molly’s kitchen I am introduced to her husband, their friends, and their exciting life together. She shares all of this simply, eloquently, and with recipes. The first time I made this was shortly after Thanksgiving and I added left over chunks of Thanksgiving ham to it, it was heavenly. After a few years of sitting on my shelf (this is pretty typical unless the book is sent to me by an author or publisher to review), I picked the book up for the HPB Humble Book Club, we will be discussing it in January. I’m hoping the other members of the group enjoyed it as much as I have and maybe even tried out some of the recipes. I still can’t decide which concoction to bring on the first Monday in January, but I plan to make something of Molly’s to celebrate the joy of a life homemade. Don’t forget to check out Molly’s blog, the Orangette. Rich Fabric lying on a piece of my own rich fabric, a quilt made by a family friend’s grandmother. When I first booked Melinda McGuire to do a signing at Half Price Books in Humble, I didn’t know I was about to meet one of the sweetest and down to earth people ever. A successful indie author of southern fiction and fellow Texan, she has been to the store for two events now, and hopefully more. Her most recent project, Rich Fabric, is an anthology about quilting, “the tradition, culture & symbolism.” With a dozen contributors, memoirs, short stories, tidbits, tricks of the trade, and all sorts of cozy anecdotes, Rich Fabric truly shows off the exciting and colorful heritage of quilting. During the book signing on November 3rd, Melinda was kind enough to give me a copy of this little anthology, and yesterday I finally sat down to read it by my fireside, hot cocoa in hand. I knew it would be interesting and precious, but I didn’t expect such a lovely and diverse group of writers. Not all were from the south, not all were over thirty; in fact, there were contributors from all over and of all ages. The entire work is dedicated to a woman whose work is included within the pages, but died before Rich Fabric’s publication, an avid quilter named Crystal Vining. All the profits go to the Twilight Wish Foundation, a non-profit organization that grants wishes to senior citizens living at or below the poverty level, but the work itself leaves you with a strong sense that quilting is not just something of interest to senior citizens, but the young and the very young as well. I have truly enjoyed the stories and pictures in Rich Fabric. I have enjoyed the feeling of getting to know families I have never met while being inspired to hunker down and complete my own unfinished quilt, as I have been working on one for years but all the quilts in my house were made by others. Many of the anecdotes were so intimate and involved, I began to feel a little sad for my quilts not having such an involved history. Each of mine were made by friends of the family and their families, they are items I received used, merely by accident; though they are well-loved here in my home, I do not personally know their crafters or the circumstances in which they were brought into existence. Then, I read Claire Burson’s piece about her quilt, passed down through the family and cherished but the intimate details being lost. She explains the treat and delight in the mystery of the quilt itself, how there is beauty in the known facts but beauty in the lost details as well because then she can imagine all the possibilities. In that moment, the sadness for my hand-me-down quilts was gone and I realized she was right, it is kind of nice to be able to imagine. I hope there will be more Rich Fabric volumes. It truly is a little treasure to have on the shelf, and with all the lovely stories within its pages it is only so glaringly obvious that there must be so many more out there in the world. I’d like to read those too some day. Four hours is a good nights rest, she tried to tell him. They told her she was an insomniac… or maybe she told her that. But she knew she wasn’t really. She could sleep; she just wasn’t good at it. Sleeping was some kind of secret art that people withheld teaching her. Any good sleep she got happened in the late afternoon or early evening hours. Not in the night, when her beloved moon she never saw was awake, not then. Sleep could not or would not come to her then, at least not until 3:00 or 4:00, well 4:00, sometimes 5:00 in the morning. She liked his tie. It was checkered… shiny… mesmerizing – “What?” she was in class. Oh yeah, class. But she knew that, she had been there all along, and before that in the library, and before that in her room, and before that lunch where she had told them, “Four hours is a good nights rest.” More than she’d had all week. Three hours at a time was usually an accomplishment and that usually only happened after she worked out. She’d work out, and then pass out. If she didn’t run three miles a day, she’d never sleep. … I don’t miss it.